The news continues to surface of major developments on a global scale. These stories come in a variety of subjects and though their meaning may be unclear at the moment, their collective implications can be anywhere from benign to extremely profound. 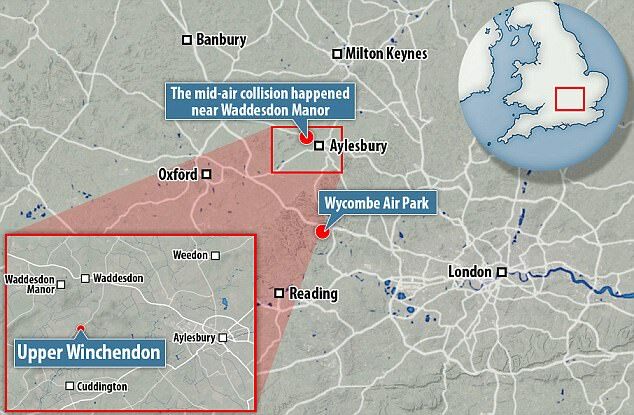 The news of the mid-air collision which took place near the Rothschild's mansion at Buckinghamshire estate left many people shocked and curious. This occurrence seems very coincidental and appears to fit the current mood of global military operations geared toward arresting and overthrowing the criminal Cabal. We will remember the helicopter crash that killed nearly a dozen Saudi officials which took place only a few days before this unfortunate accident at Buckinghamshire. Like the crash at Buckinghamshire, the crash in Saudi Arabia had numerous peculiarities to it. For instance, it is not every day that over a dozen high-profile government officials get arrested. If they were arrested, for security reasons, they would not typically be placed in the same vehicle (though I am admittedly unsure of the procedures of Saudi authorities). This helicopter crash did not seem to be accidental. These type of actions seem more in line with black ops and secret military operations. As we have heard, a coalition of military forces—which have simply been termed the Alliance—has become very active on a global scale. This might explain the Saudi crash. Also, according to a former CIA operative, in certain cases, even rogue agents can take actions such as these to eliminate targets they deem dangerous to humanity. These agents might have become impatient at the lack of action taken to bring Cabal treachery to a halt in our world, leading them to take matters into their own hands. According to multiple sources, the diplomatic meetings between Cabal interests and the Alliance have been unproductive. These meetings were meant to resolve the conflict between Cabal interests and the world, and to negotiate the Cabal's surrender. However, in most cases, these efforts have either been delayed or altogether unsuccessful. The Alliance and the Cabal could not reach an agreement, but instead, a stalemate was reached between these opposing forces. This stalemate seems to have lasted for months, but at present, it appears to have ended. Let's also consider the recent 4Chan disclosures from Q Clearance Patriot (also known as Q Anon). 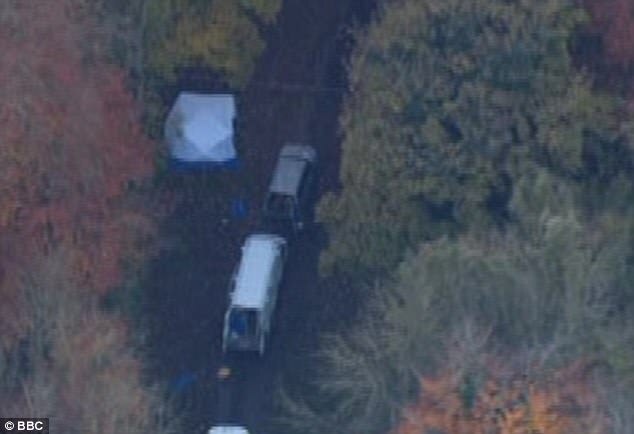 Considering the shocking occurrence of the crash over Buckinghamshire mansion, one particular 4Chan disclosure seemed very interesting. On November 13, QCP posted a very interesting message which seemed to directly address Lynn de Rothschild. Many sources have pointed out the fact that the brackets highly three letters which just happen to be the initials of Lynn de Rothschild. We may be aware that Cabal elitists are heavily involved in occult symbolism and love to include hidden messages in their communications. Lynn de Rothschild has been linked to these elitist cults in numerous ways, in which case, it would make sense as to why this message from QCP would address her in this way. Considering all the crimes of these Luciferian occultists, it would make sense that a threat against them would include the backhanded rebut of their own symbolism. This message was very interesting in that it preceded a fatal mid-air collision between two aircraft directly above the estate of several criminals against humanity. 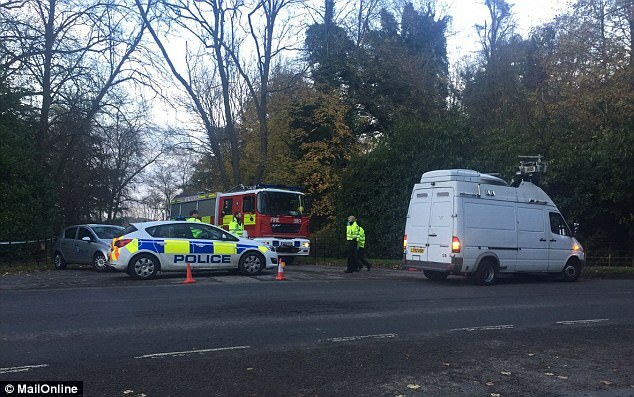 This makes the crash at Buckinghamshire estate to be particularly suspicious. Some see this crash as an omen of further actions to be taken against cabalists. Others may simply see it as a coincidence. At the very least, this crash appears to be a sign of things to come for the Rothschild family. Though I do not personally approve of execution of these criminals in this manor, I can see why the choice may have been made by the Alliance to take drastic action to end the diabolical crimes of these elitists. Personally, I do not see much of a point to create such an accident for mere show. The Alliance has not been known to put on displays merely for shock value. Nor have they carelessly sacrificed innocent lives for the sake of liberating the world. So I find it very likely that this was an intended hit on one or more of the actual Rothschilds. In fact, I have a strange feeling that if this was a deliberate act by secret military operations, that they may have met their goal. 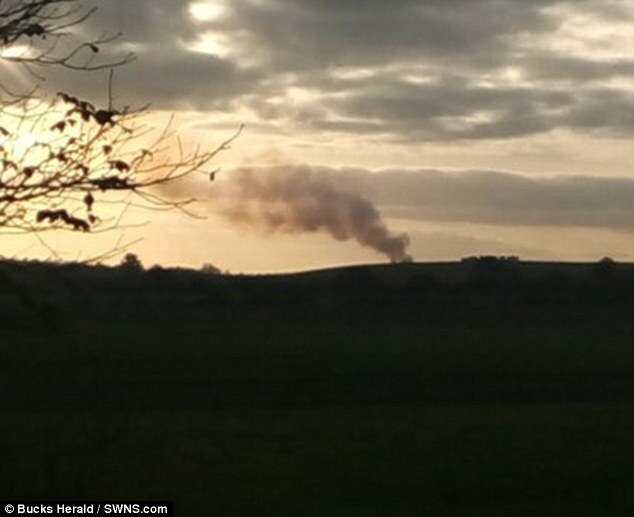 Four people have been confirmed dead after a light aircraft and a helicopter crashed in mid-air over the Buckinghamshire countryside this afternoon. 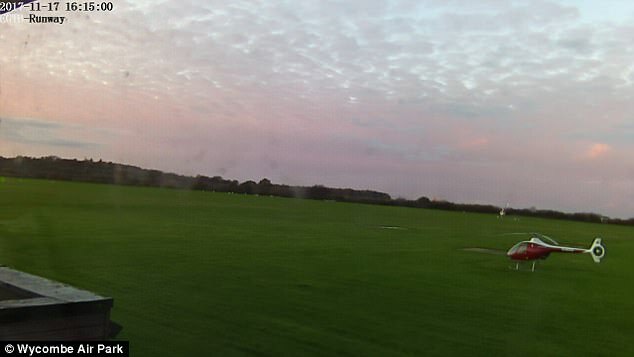 The aircraft collided just 15 minutes after taking off from Wycombe Air Park which trains rookie pilots. 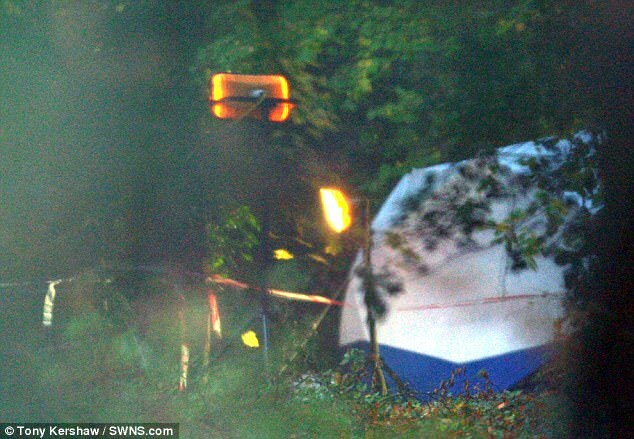 Wreckage landed near the Rothschild family's Waddesdon Manor, 16 miles north-west of the airfield, just after midday. Residents in the nearby village of Upper Winchendon heard a loud bang and could see and smell a plume of black smoke from the crash scene. 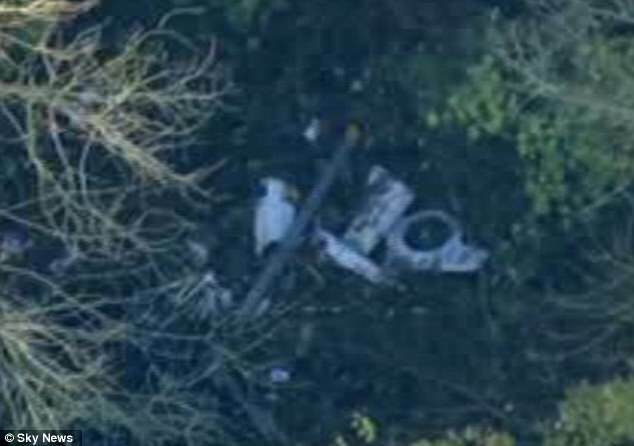 The pilot of the helicopter and its single passenger, as well as the pilot and a passenger of the plane, died in the crash, which happened at around 1,000ft. 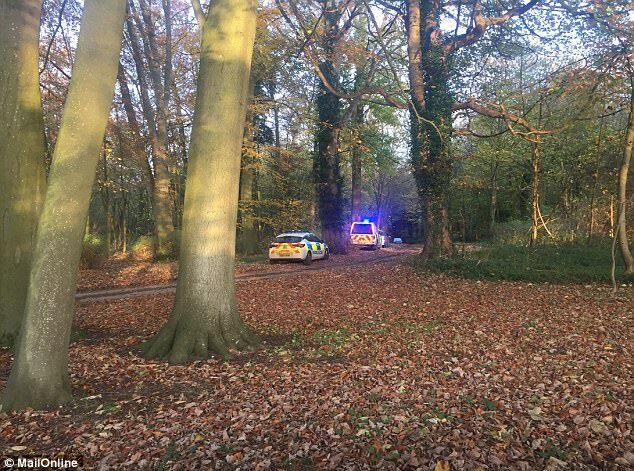 Pictures from the scene show fragments of the helicopter's rotor-blades and the plane's fuselage scattered around the woodland floor. 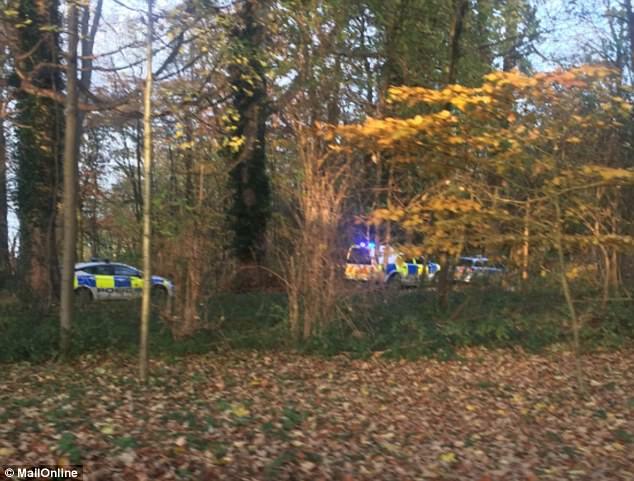 At least seven fire engines and three search and rescue vehicles rushed to the scene after the first 999 call came in at 12.06pm. Rescue workers had launched the fire brigade's drone over the fallen wreckage in a bid to locate any survivors, but no one was taken to hospital. None of the victims had been named last night, but the dead helicopter pilot's friend and former colleague Captain Phil Croucher said: 'He was probably the most respected instructor in the country. 'He achieved a very high position in the Army. If you wanted a training instructor there's no one more highly qualified. 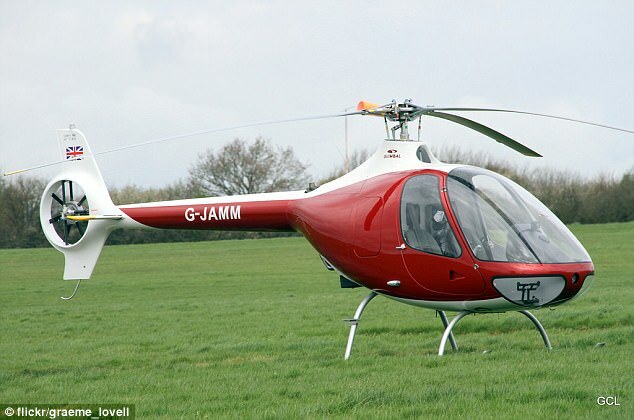 He was said to have been training a foreign flying student on a beginners' course when the helicopter crashed. Flight data shows a two-seater helicopter was flying at 1,025ft in the area at the time, but suddenly went off radar shortly after 12 noon. It had only been in the air for 15 minutes. 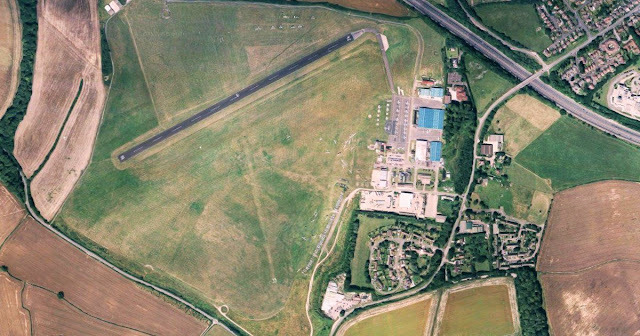 A Cessna 152 took off from Wycombe Air Park around the same time as the helicopter and disappeared from radar at the same time. Both the aircraft feared to have crashed made successful loops this morning, suggesting that they were being used repeatedly for pilots' training. Waddesdon Estate gardener Len Bellis described how he found the wreckage minutes later after hearing a 'horrendous noise'. He said the Cessna was 'non-existent' but for a 5ft section of burning fuselage. 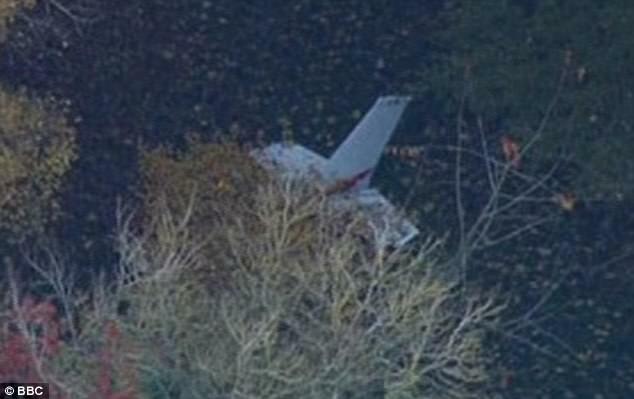 Two men he met at the scene told him they'd heard the plane 'stuttering' just before the crash. The Cessna 152, built in 1982, is owned by Airways Aero Associations. It needed extensive repairs in 1993 after a crash in Cornwall. One pilot said it was easy to be distracted by the estate.